Russian President Vladimir Putin has inaugurated a highly controversial bridge between the mainland Russia and annexed Crimea. 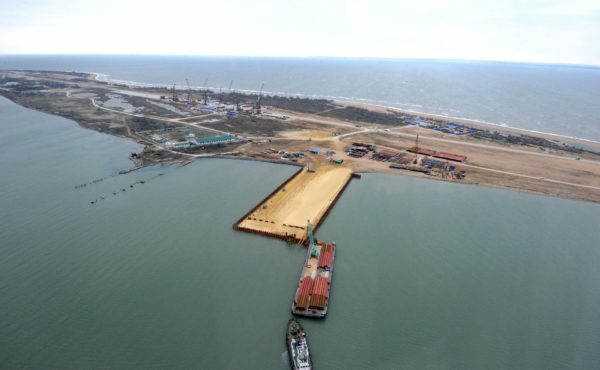 The $3.7 billion bridge has been a flagship political project for Russia as it seeks to cement its hold on to the territory it annexed from Ukraine in 2014. The Kerch Strait bridge was opened in a typically hands-on fashion by the Russian leader. By driving a truck. The 12 mile (19km)-bridge, now the longest in Europe, is the only direct road link with Russia. It links Russia’s Krasnodar region with Crimean peninsula. Its opening marks the physical “reunification” of Crimea with Russia mainland. Once fully completed, the road and rail link will be able to handle 40,000 cars a day and to move 14 million passengers and 13 million tons of cargo per year, according to RIA Novosti. Russian special forces seized Crimea in a lightning operation in February 2014. The West responded with crippling economic sanctions.